Welcome to Smoothie Monday! Today I have a nice smoothie that is simply perfect for breakfast! 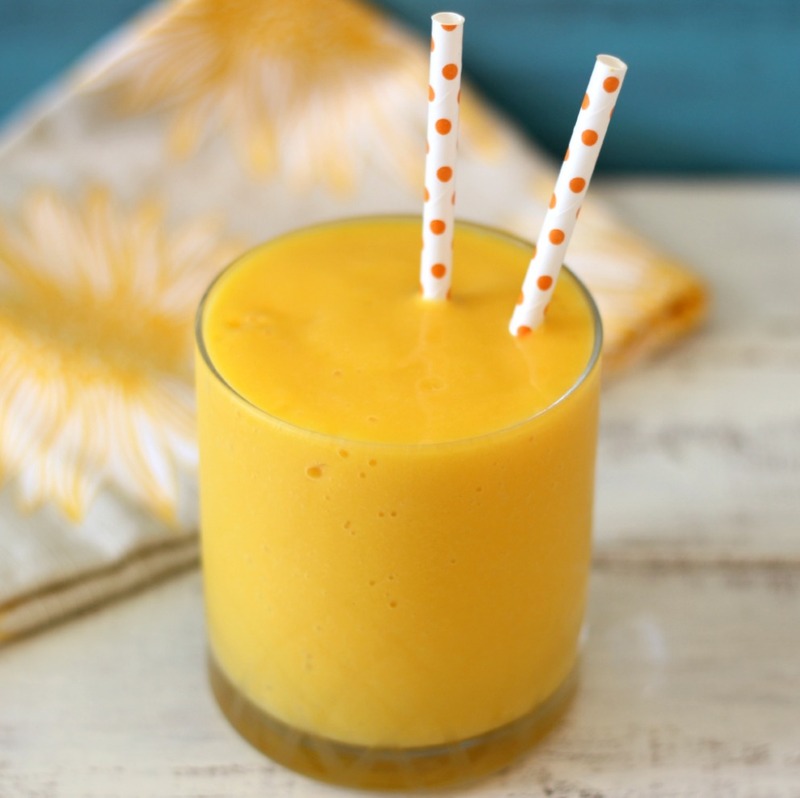 Normally I’ll have a little glass of orange juice with my breakfast, but I thought, hey, why no kick it up a notch and make it a fabulous, cheery smoothie that will make your taste buds dance? 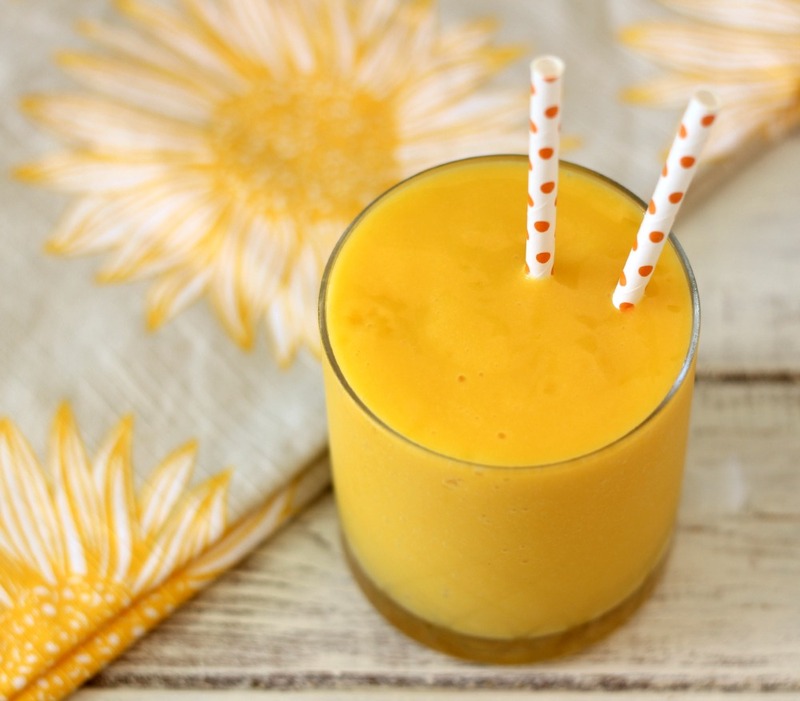 So today I have for you the Good Morning Sunshine Smoothie. 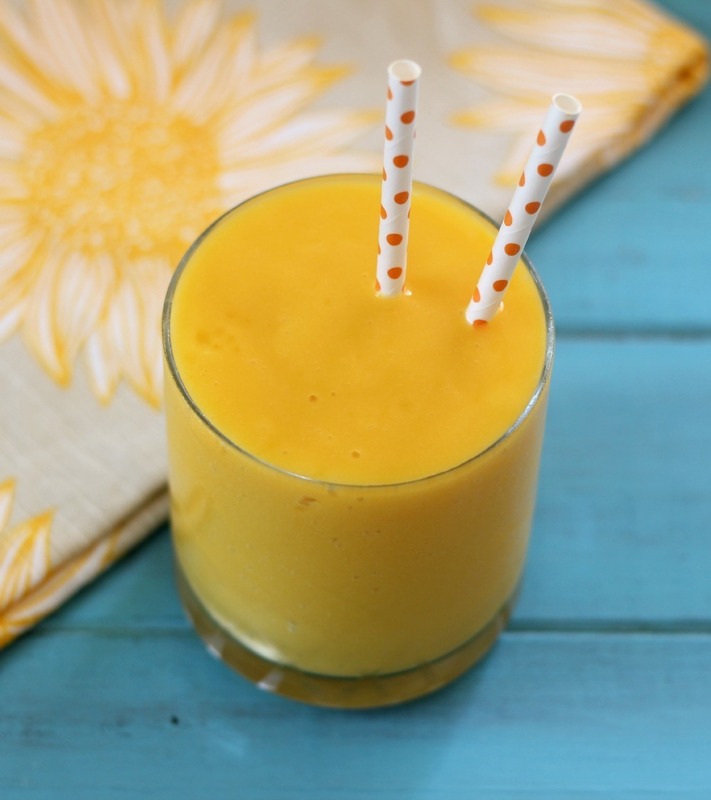 This smoothie is naturally sweet, full of vitamins and minerals and really it makes you smile! 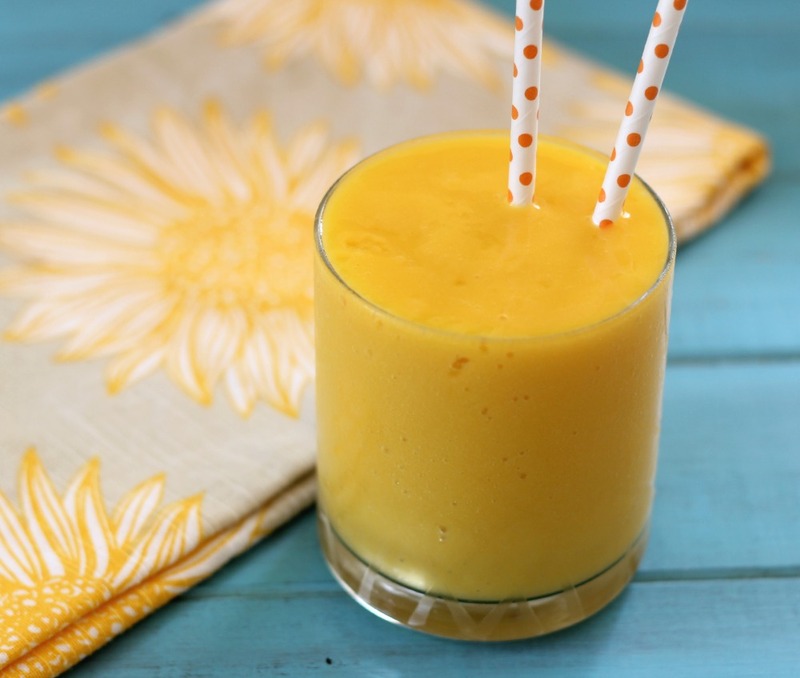 It’s made with mango, peaches and orange juice. It’s creamy, thick and you get a nice taste of mango, with a hint of peaches with a touch of orange juice. it’s such a nice combination of flavor. I like to have my smoothies naturally sweet, but feel free to add some sugar to sweetened it up. Lately I have been making smoothies every morning to take to work and I have just been experimenting with different flavors and this was one combo that got tossed in the blender. I was pleasantly surprised how wonderful it tasted, and I just couldn’t wait to share it with you!! I have to say I have been enjoying my breakfast smoothies, especially ones that are light and a little tropical and a little traditional. This smoothie has it all! 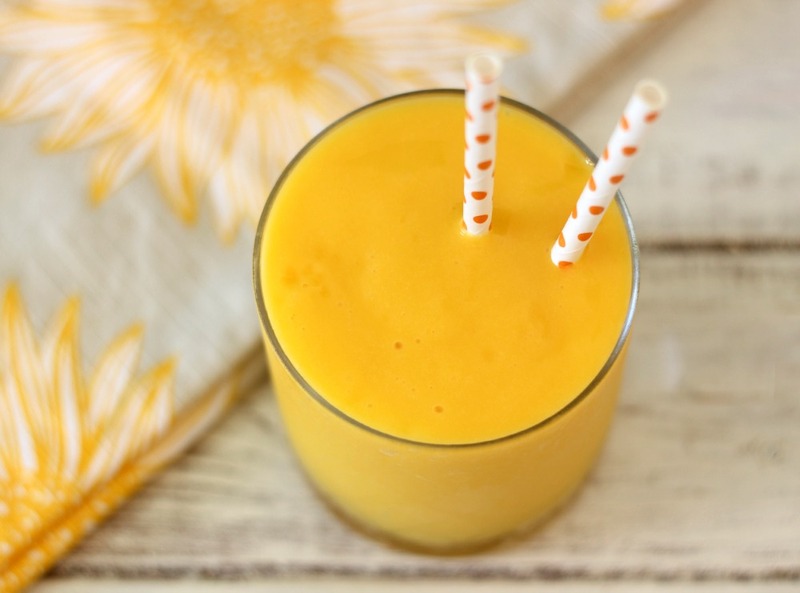 A light, refreshing, full of vitamins and minerals breakfast smoothie made with mango, peaches and orange juice. So why not start your day off with a nice smoothie? The Good Morning Sunshine Smoothie would be really good to share with your family while having a nice healthy breakfast. I think it would be a great substitute for orange juice! This smoothie is incredible! I am seriously in love with it! Try exchanging the sugar with 1 table spoon of raw honey. Less sugar means less calories. Great idea! I didn’t even think to add honey! I love that idea and will do it when I make this again!